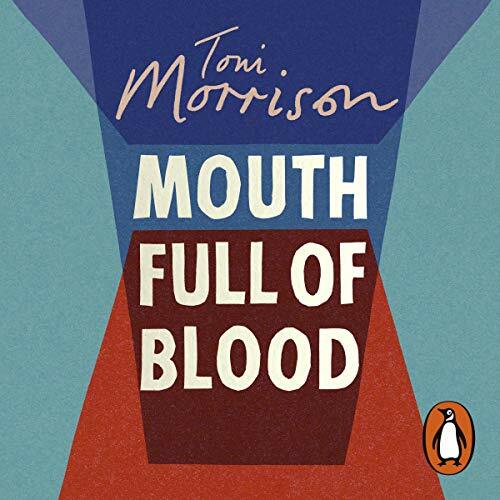 Random House presents the audiobook edition of Mouth Full of Blood by Toni Morrison, read by Bahni Turpin. A vital new nonfiction collection from one of the most celebrated and revered writers of our time. ‘Word-work is sublime, she thinks, because it is generative; it makes meaning that secures our difference, our human difference - the way in which we are like no other life. The collection is structured in three parts and these are heart-stoppingly introduced by a prayer for the dead of 9/11, a meditation on Martin Luther King and a eulogy for James Baldwin. Morrison’s Nobel lecture, on the power of language, is accompanied by lectures to Amnesty International and the Newspaper Association of America. She speaks to graduating students and visitors to both the Louvre and America’s Black Holocaust Museum. She revisits The Bluest Eye, Sula and Beloved, reassessing the novels that have become touchstones for generations of readers.